Love, 1962 American High School Style: Dating: Beyond the Davenport! Okay, so I'm all for public education being rich and well-rounded, and for teaching kids practical life skills beyond the 3 Rs, but come on. 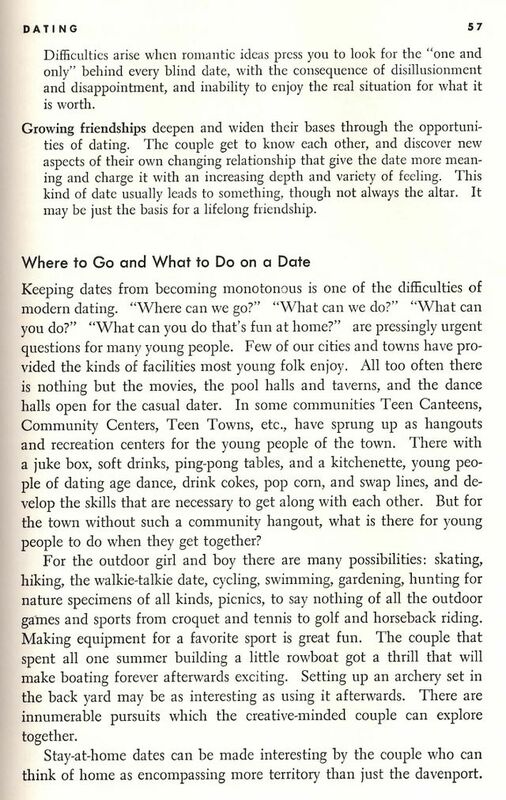 If my kid brought home a textbook that devoted multiple pages to dating ideas, I'd probably order him upstairs to do some more goddamn math, for chrissakes.